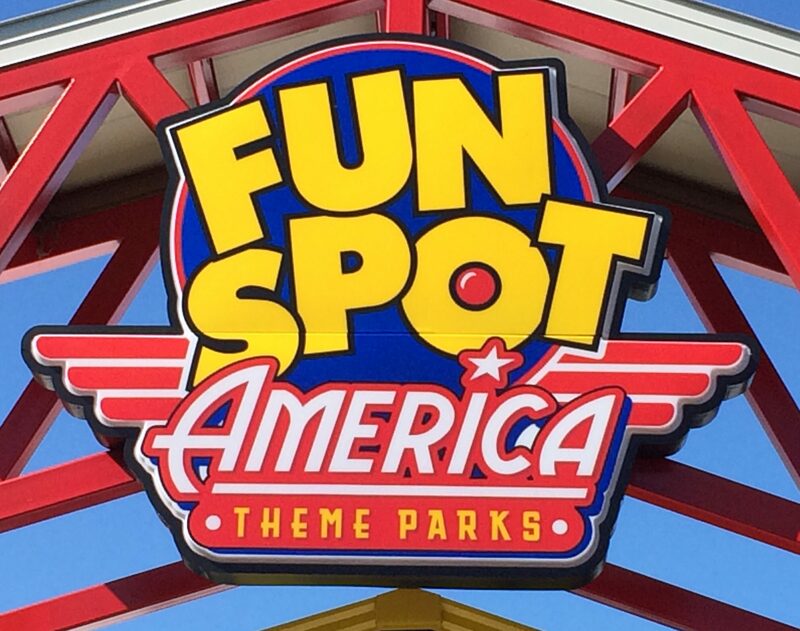 Fun Spot America is a chain of Family Entertainment Center (FEC) parks that currently consist of three parks. 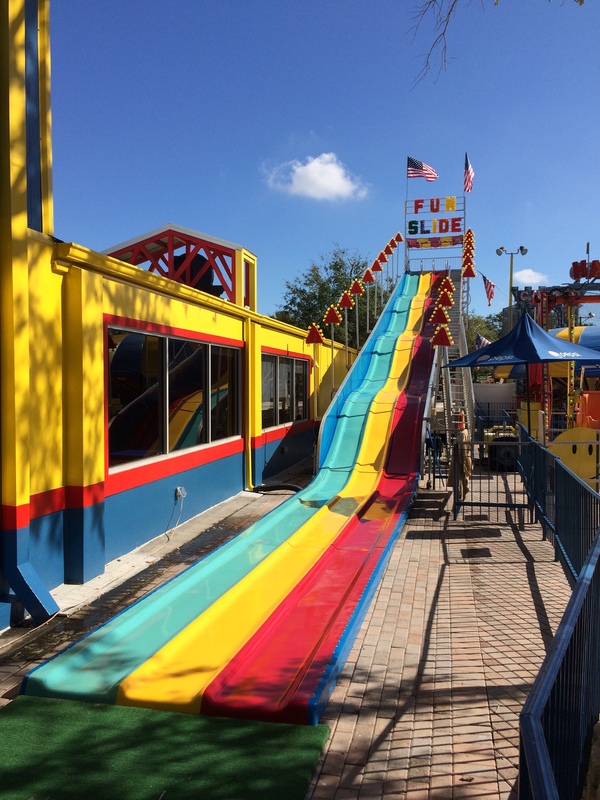 There is this one, the one in Orlando, FL and the former Fun Junction USA in Fayetteville, GA. 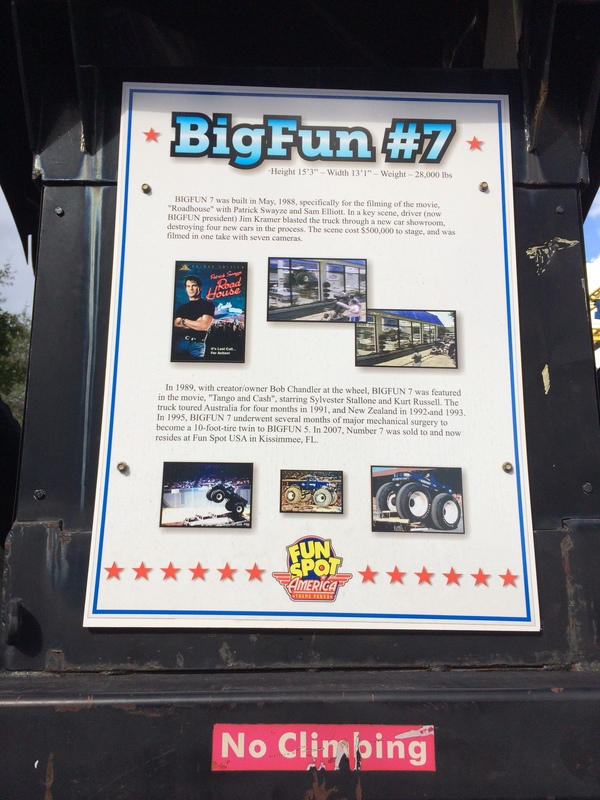 This particular park opened sometime in the mid 1990’s when it was bought from an operator that had used it to house the world’s tallest Skycoaster which is still on property. This park does have designated smoking areas and recycling bins so you may want to find out where they are if you want to smoke or dispose of your bottles or cans that can be recycled. They also have restrooms and a picnic pavilion here as well. 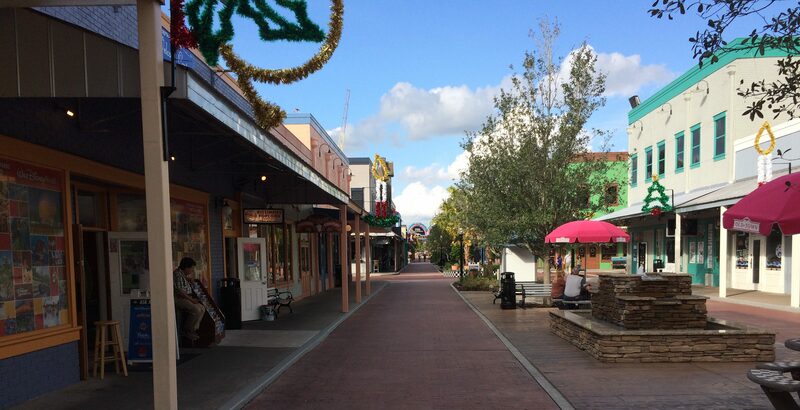 There is no “main entrance” to the park which also means you have the choice to buy individual ride tickets or one of many different types of wrist bands at different booths inside the park. With that being said, let’s go inside and have some fun. 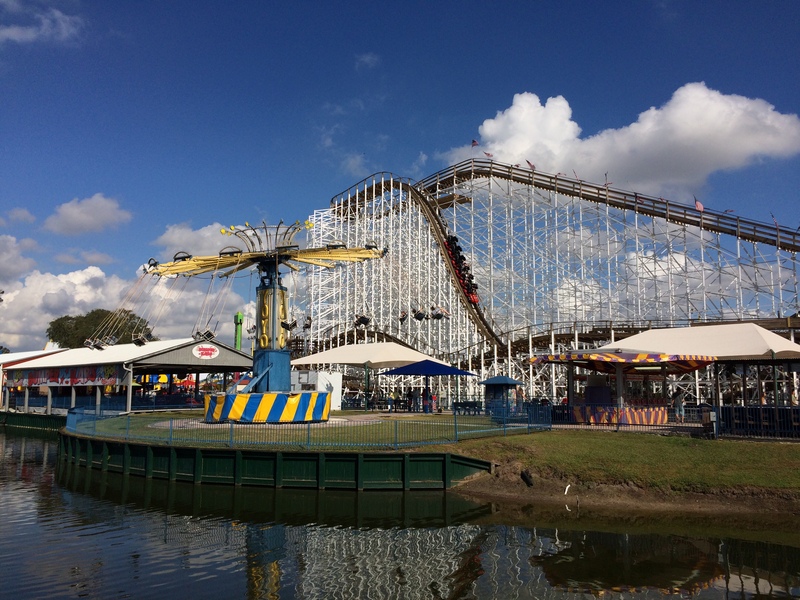 This coaster is a spinning Wild Mouse/Twister Coaster 420STD model from Zamperla that originally opened on August 17, 2005 as Galaxy Spin at the former Cypress Gardens Adventure Park now known as LEGOLAND Florida in Winter Haven. That park then closed on November 16, 2008 and was bought up by Merlin Entertainment who then converted it to LEGOLAND. 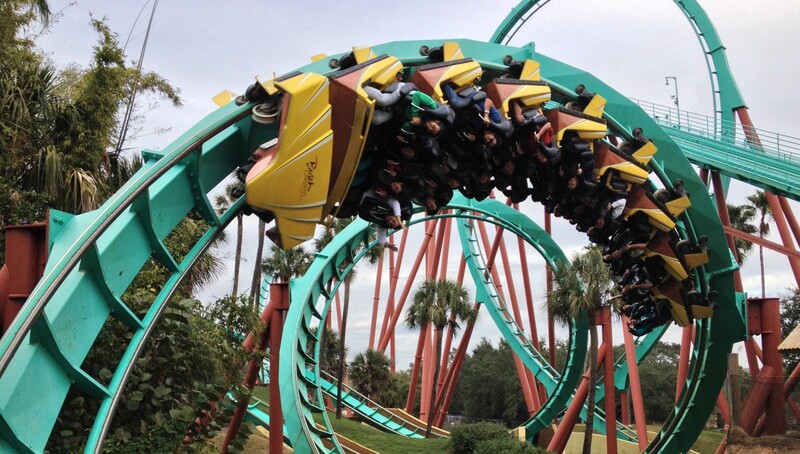 This coaster then opened here on July 2, 2011 and has been thrilling guests ever since. 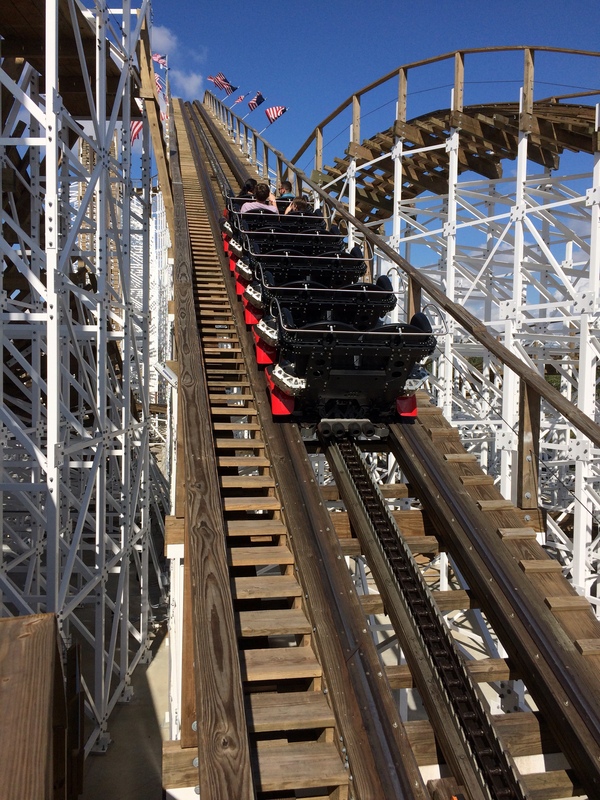 This coaster is 1,377.9 ft long, 42.7 ft high, has a top speed of just over 29 mph, and a ride time of one minute and thirty seconds. 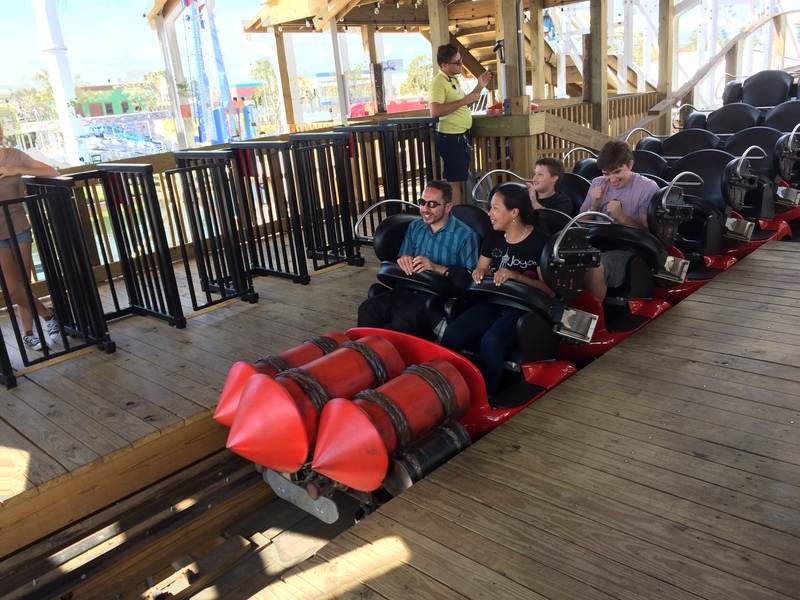 The coaster operates several cars individually that can carry up to four people each. I recommend having the heaviest people sit on the left side as you face forward as that will give riders the maximum opportunity to spin. 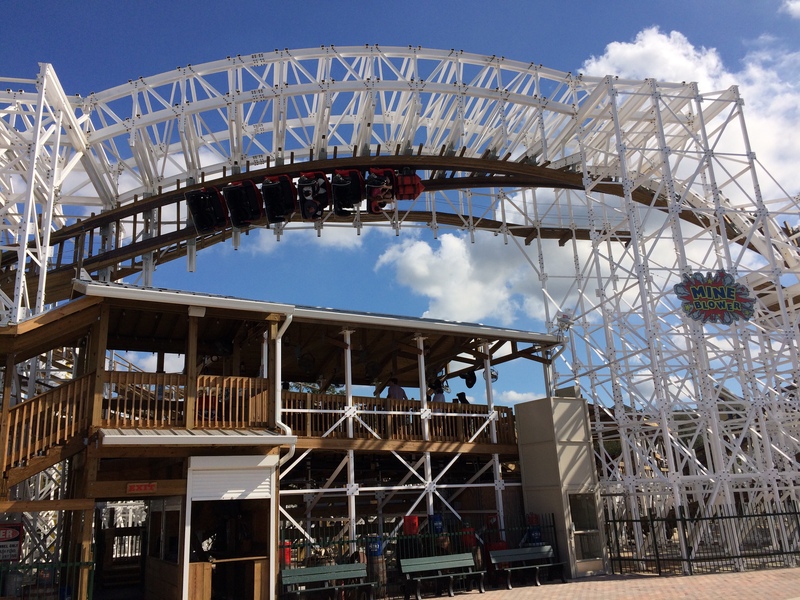 Those that get dizzy should not ride this as this spinning coaster also is filled with sharp turns and sudden drops that are very typical of wild mouse coasters. 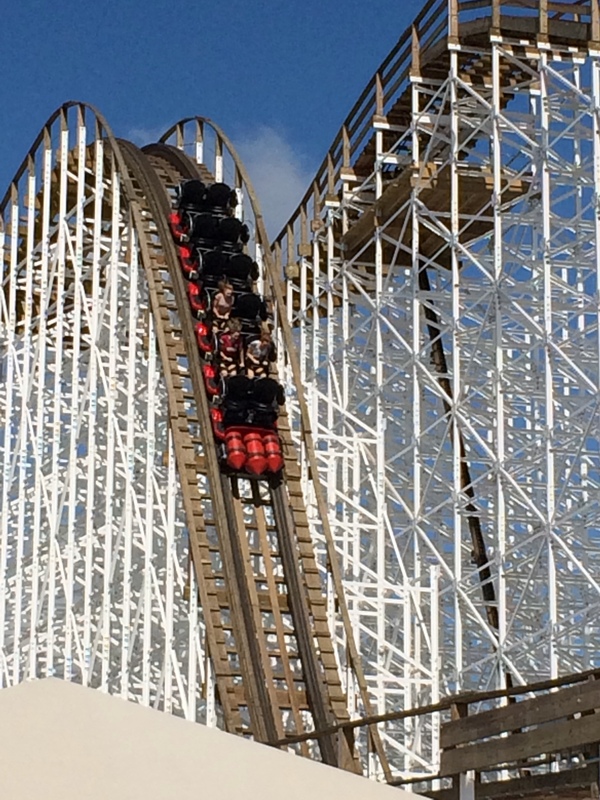 Here is an on and off ride view of this fun coaster from Theme Park Review. This is a Flying Scooters model from Larson International that I believe opened here sometime around 2012’ish and really is a fun ride as you can control just how high you can go by moving the rudder in front of you to the left and right at the right time. This attraction can hold up to 16 riders at a time in eight tubs that can accommodate up to two people in each tub. Here is my off ride video of this attraction. 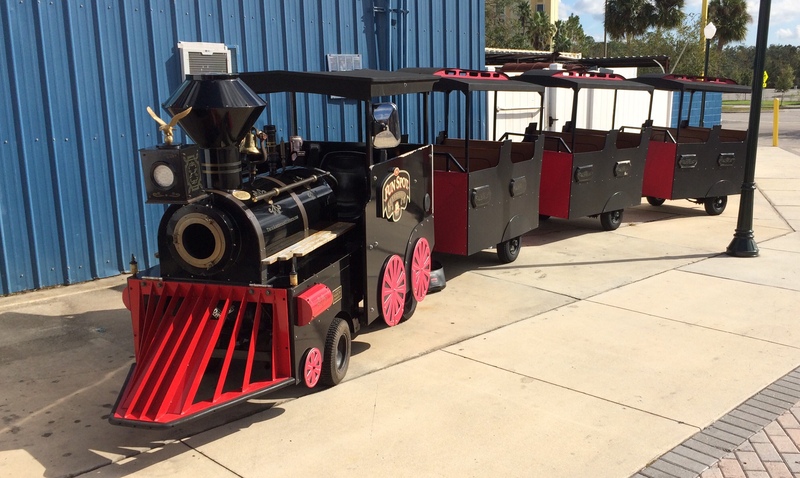 This is a transportation ride that has two stops and only operates during the busiest times of the day. 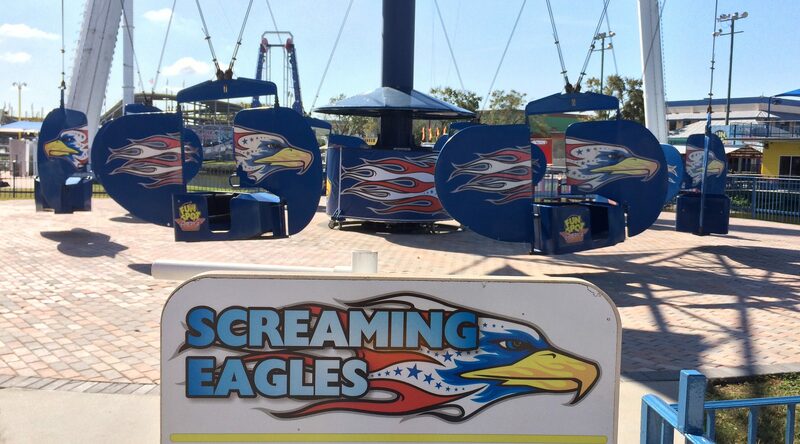 One stop is by the Screaming Eagles and the other is by the multilevel go-kart tracks. 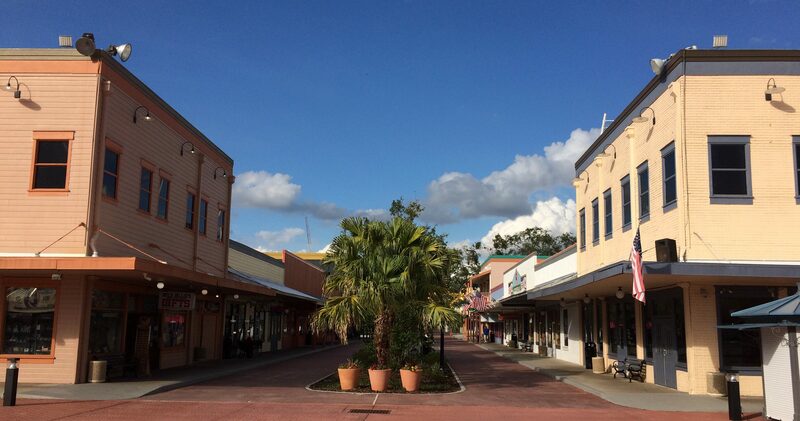 Next up is the arcade building which has been here since the park opened in the 1990’s. 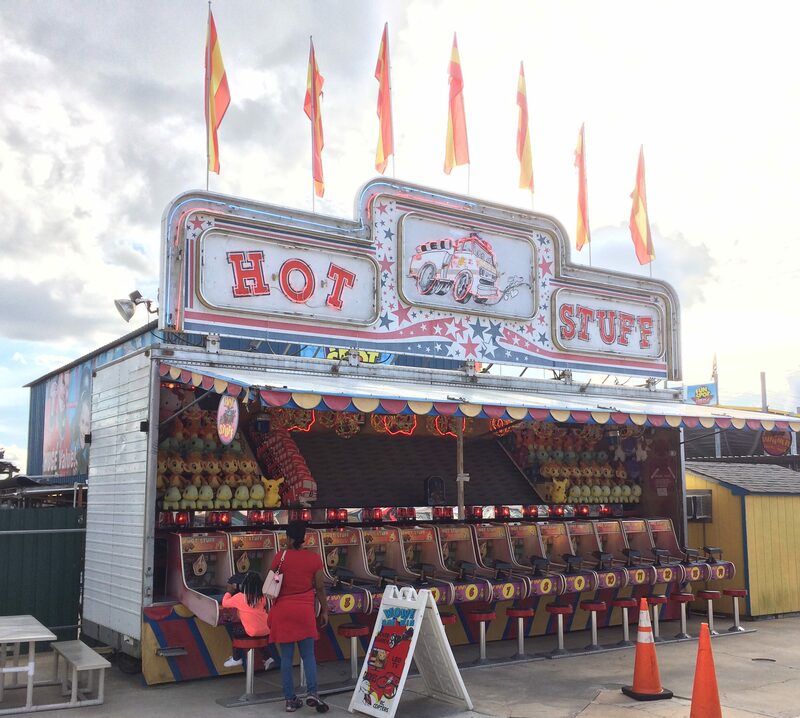 The arcade includes a small restaurant, arcade, and redemption games that give tickets that you can redeem for prizes at the redemption counter inside. You can also buy your ride wrist bands here. I couldn’t find out anything about this attraction but I do know this one goes upside down multiple times on a slowly rotating gondola. It looks quite fun if you don’t get dizzy easily. 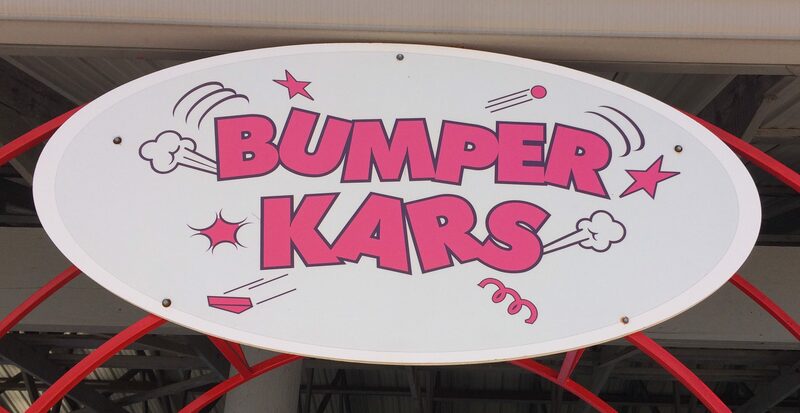 This area contains several rides for the smaller ones. 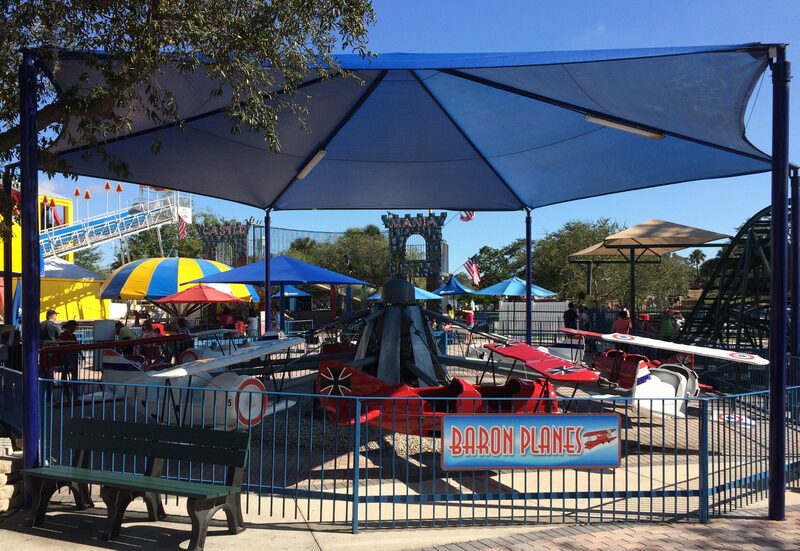 The rides included are a Fun Slide, Baron Planes, Screamer, and other carnival type rides for the little tykes. 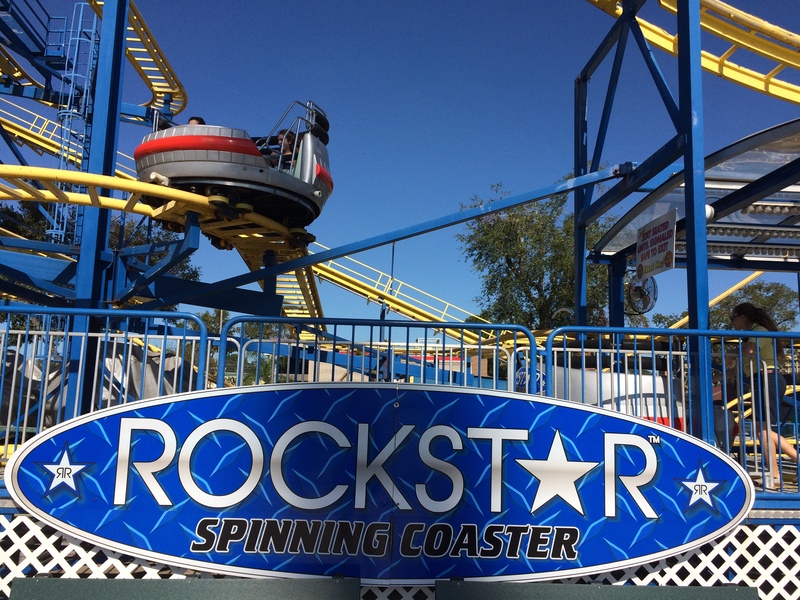 There is a small kiddie coaster ironically called “Kiddie Coaster”. 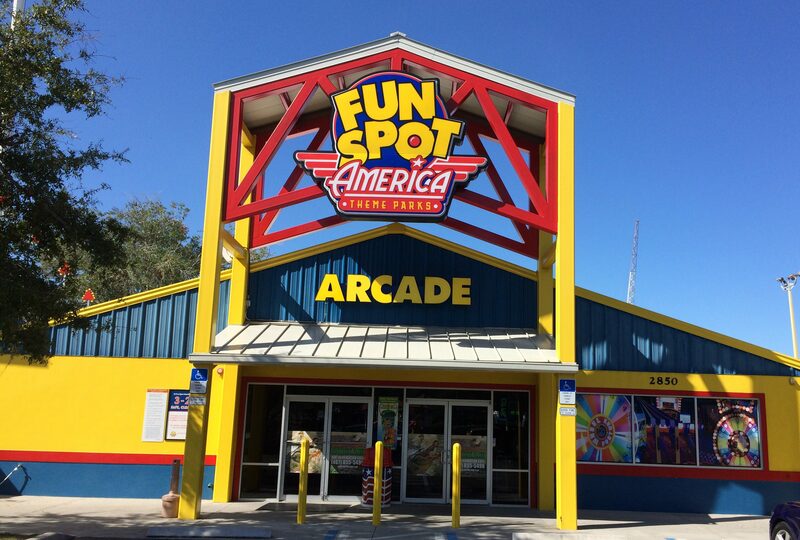 It originally opened in 2010 as Boa Squeeze at the Enchanted Forest park in Utica, IL. It then closed in 2011 and reopened here on February 2, 2012 and has been thrilling kids ever since. 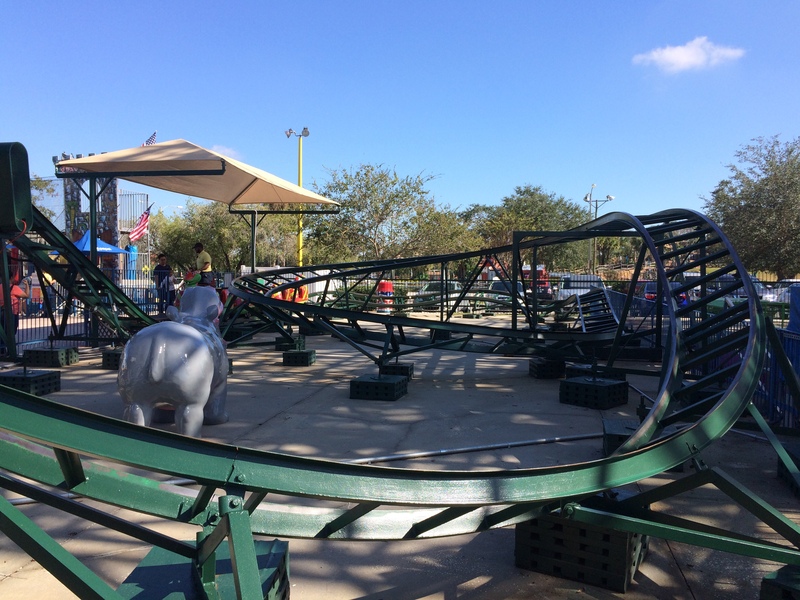 It is a Family Coaster/11.5ft Single Helix Center-CCW model from E&F Miler Industries and has a total ride time of about one minute. 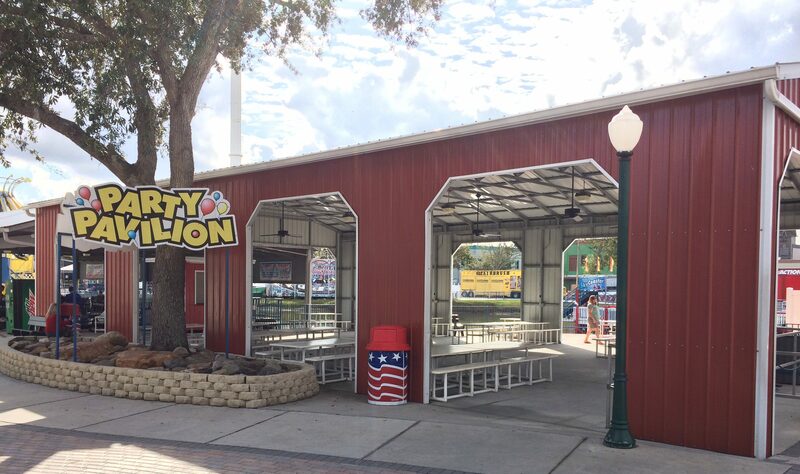 Up next is the Party Pavilion which is right across from the kiddie area and can be reserved for party’s or other functions. 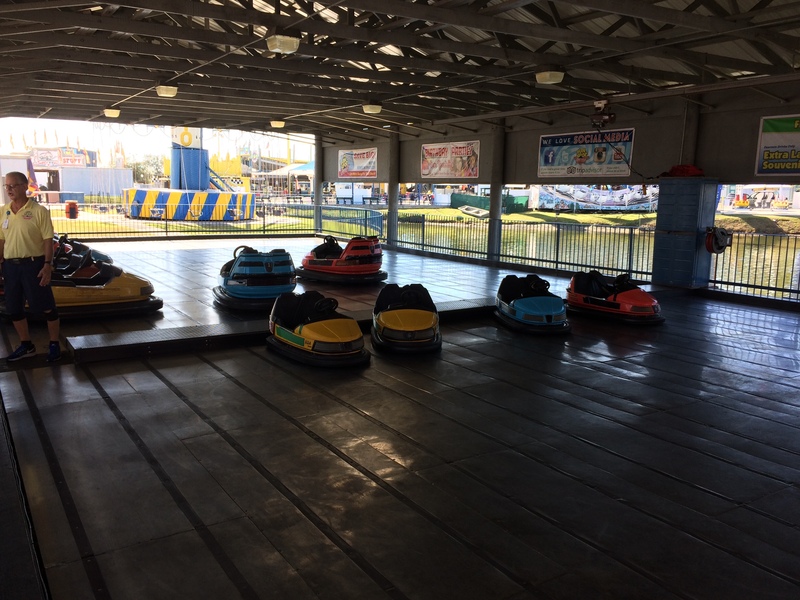 This attraction is right next to the Party Pavilion and has separate Bumper Cars for the kids and the adults and are always a blast to ride. This is a classic chair swing attraction that can be found at most parks and traveling carnivals and is always a must ride for me. 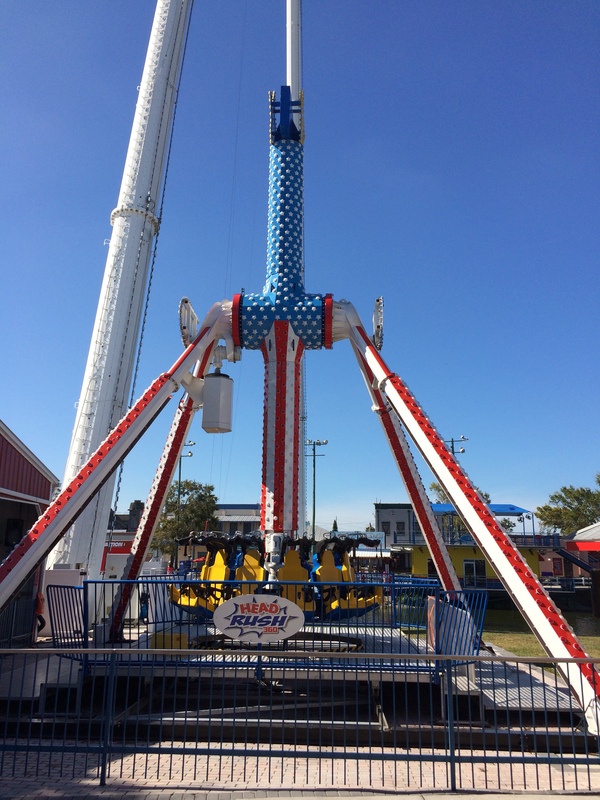 These type of chain swing rides are built by Chance Rides and can accommodate up to 32 passengers per ride cycle. 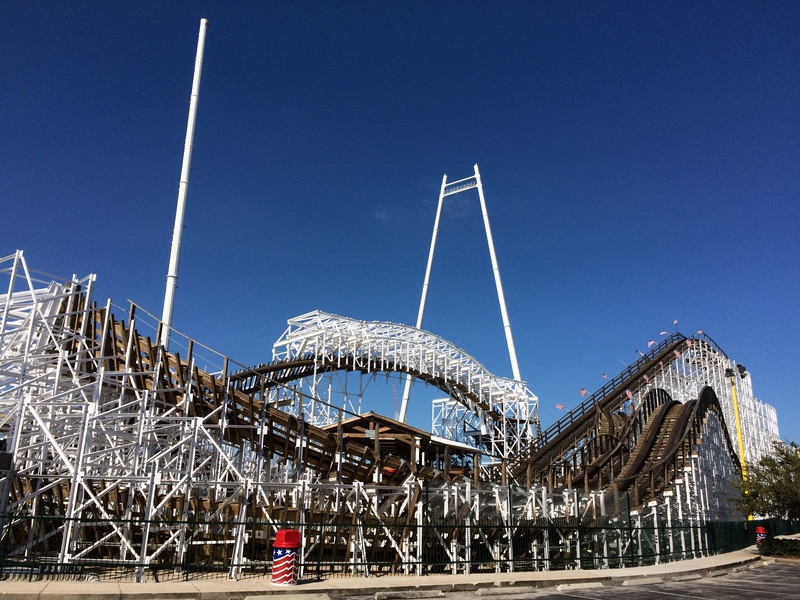 This is the star attraction of the park and is the only wooden coaster in the southeastern US that inverts riders. 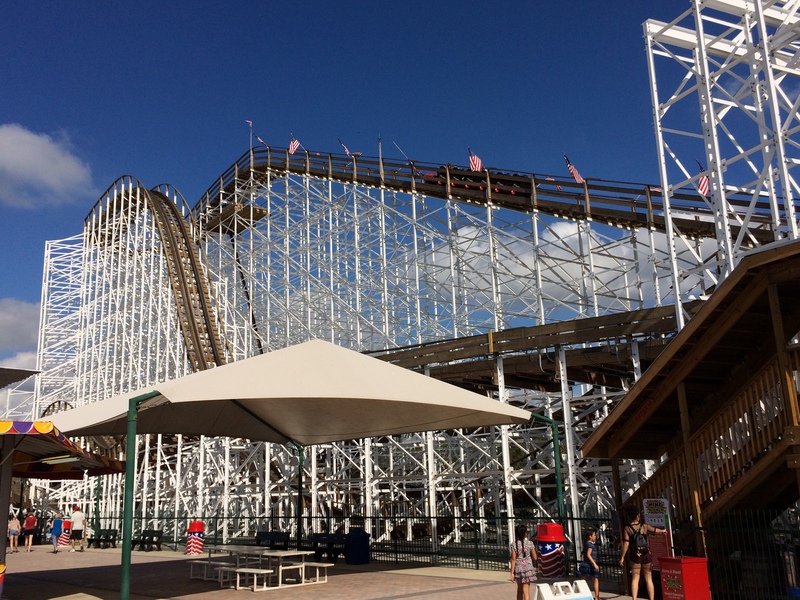 Yes, you heard right, this wooden coaster goes upside down. 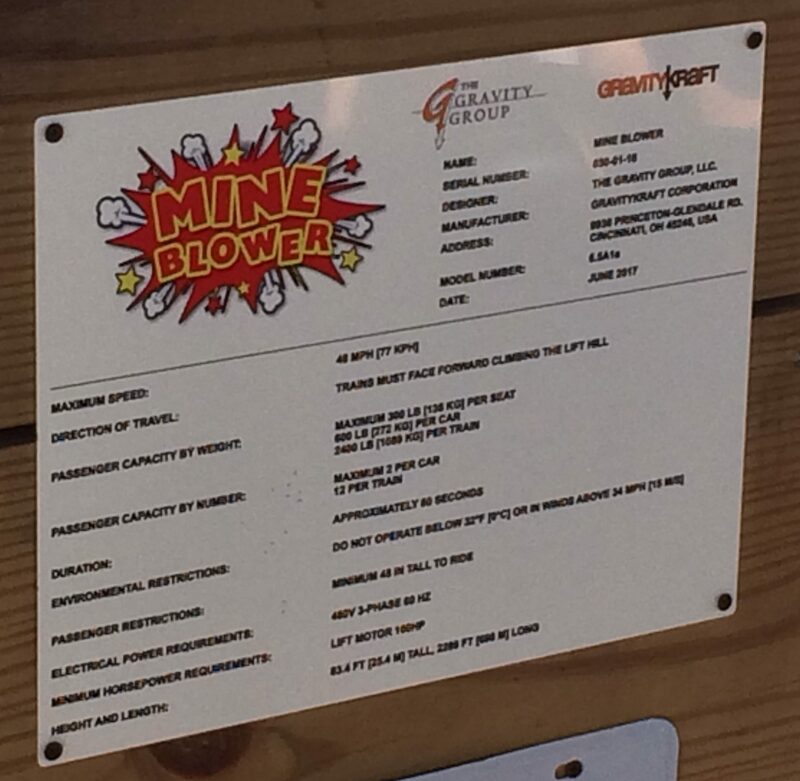 This coaster has a min theme to it so that is why it is called Mine Blower, and not Mind Blower, even though it did blow this coaster enthusiasts mind away on my first ride. 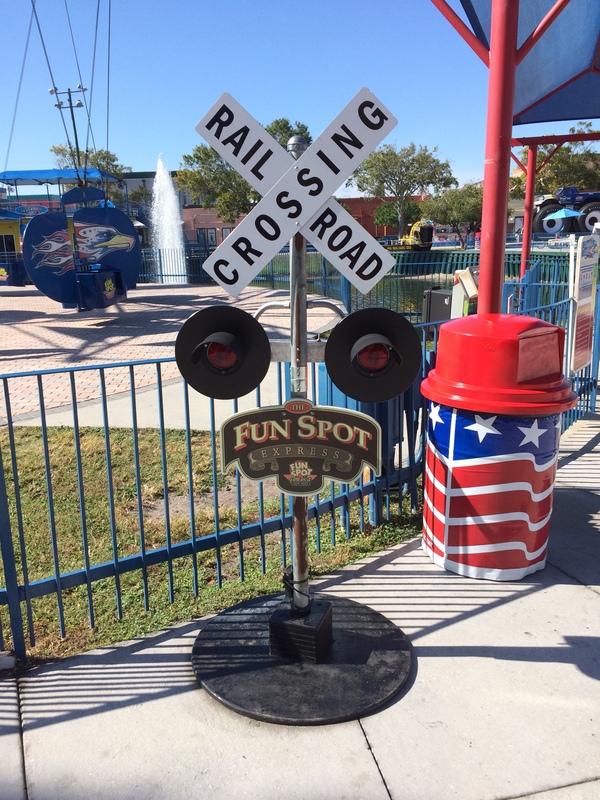 It would also be a very good idea to safely stow your loose articles by leaving them in the cubbyholes at the station of leaving them with a non-rider as this coaster will most likely damage them as evidenced by the photo below. 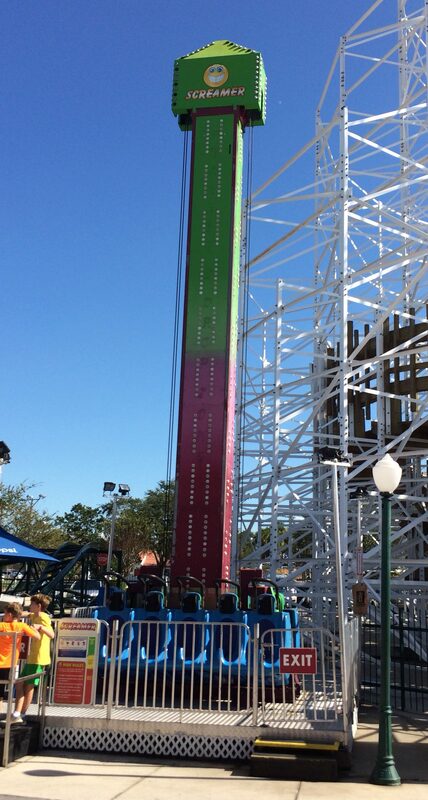 This incredible coaster was built by the Gravitykraft Corporation, also known as Gravity Group at a cost of $6,000,000 USD and opened here on June 23, 2017. 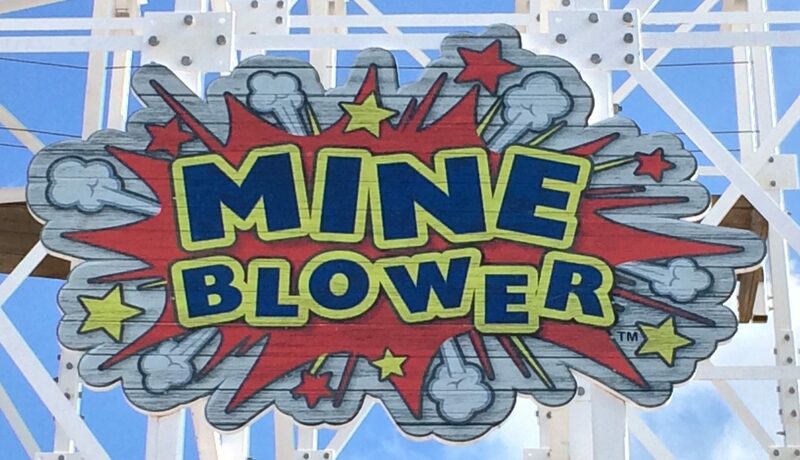 Mine Blower is 2,290 ft long, 83 ft high, has a top speed of just over 48 mph, 1 inversion which is a corkscrew/barrel roll over the station, and has 12 air-time moments. The trains themselves have (non-functioning) rockets on the front which really looks good. Here is my off ride video of this truly awesome coaster. 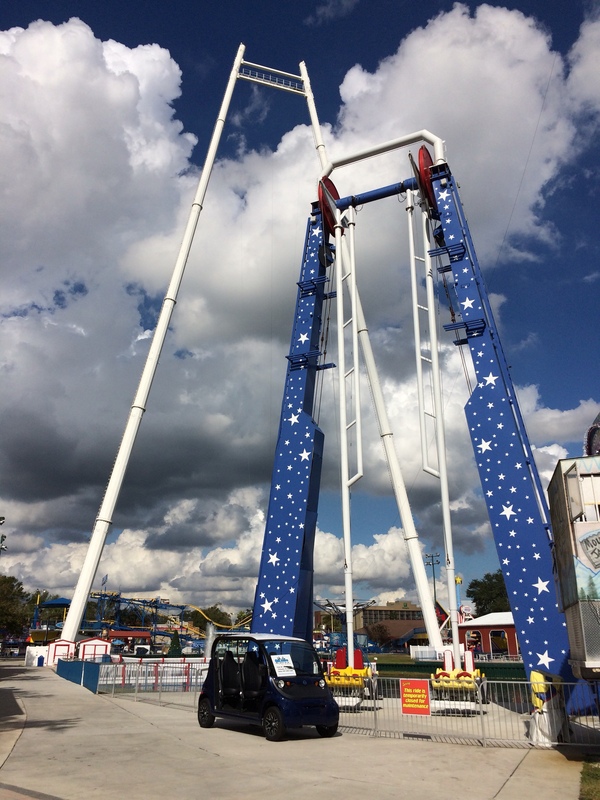 Here is the on ride video from Gravity Group. 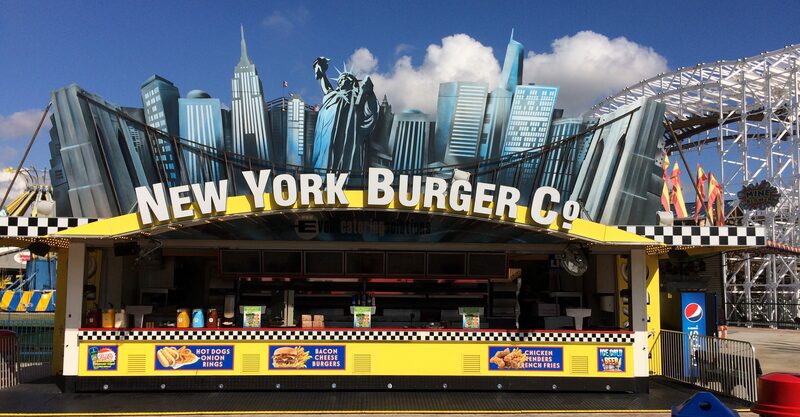 Next up is lunch time at the New York Burger Co and some good old-fashioned carnival games. This place is rather good for being a counter service restaurant as the Philly Cheesesteak Sub I had was pretty good. 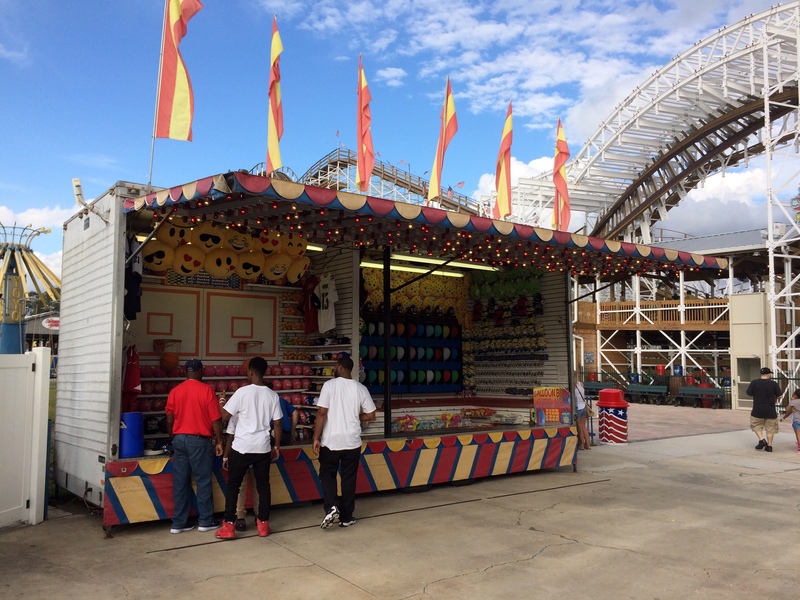 Once you are done eating, you can try your hand at several midway games. 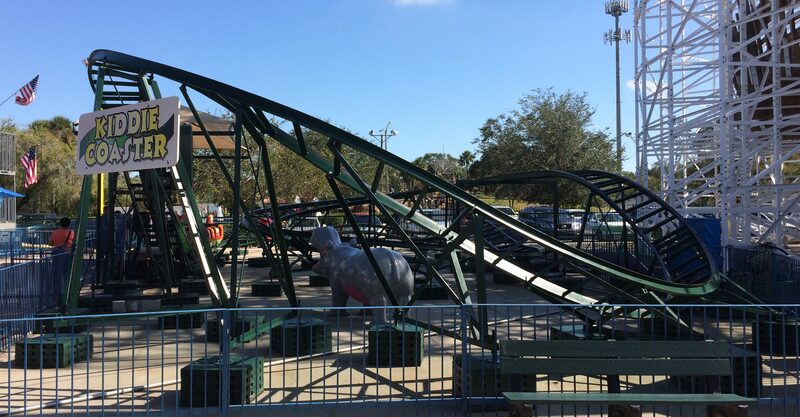 These are the two multilevel go-kart tracks that are really quite fun for the family. The Vortex is the tallest one and has a pretty steep drop followed by a high banked turn but the Chaos is equally as fun. Both tracks also have two-seater family karts which allow an adult to drive with the child next to them. Here is an on and off ride video of the Vortex track from Theme Park Review. 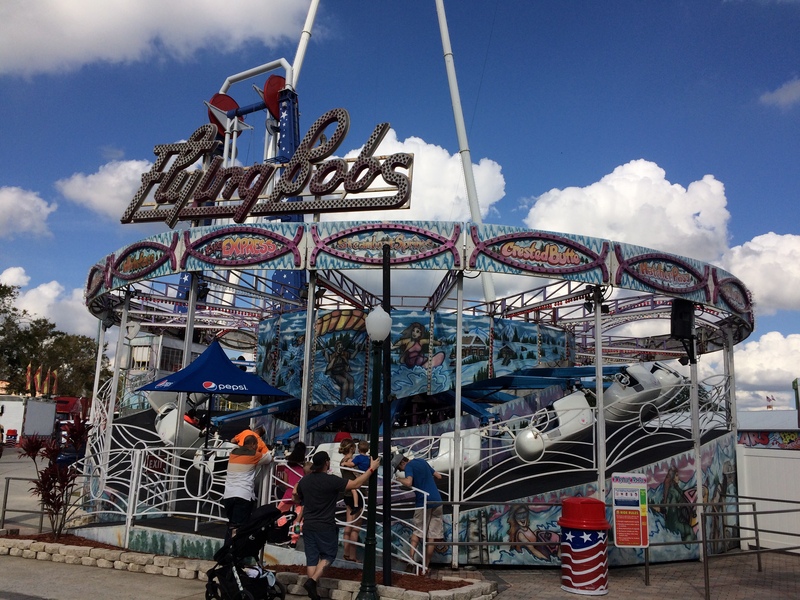 This is a classic attraction from the Allen Herschell Company that can accommodate up to 36 passengers per ride cycle. 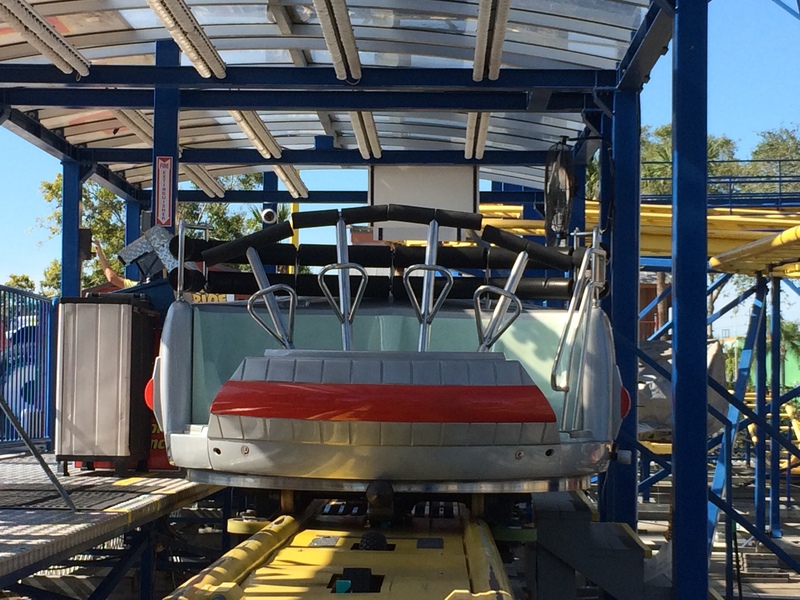 This type of ride is basically the same thing as a Music Express or Matterhorn that you might see at your local park or carnival. it goes forward in a circular undulating motion that allows the individual gondolas to swing from side to side. 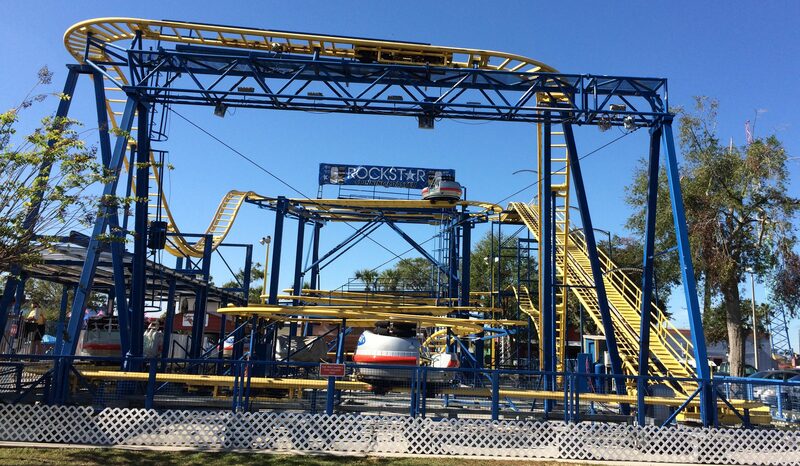 The ride will then stop and go backwards all while listening to music and the occasional air siren. 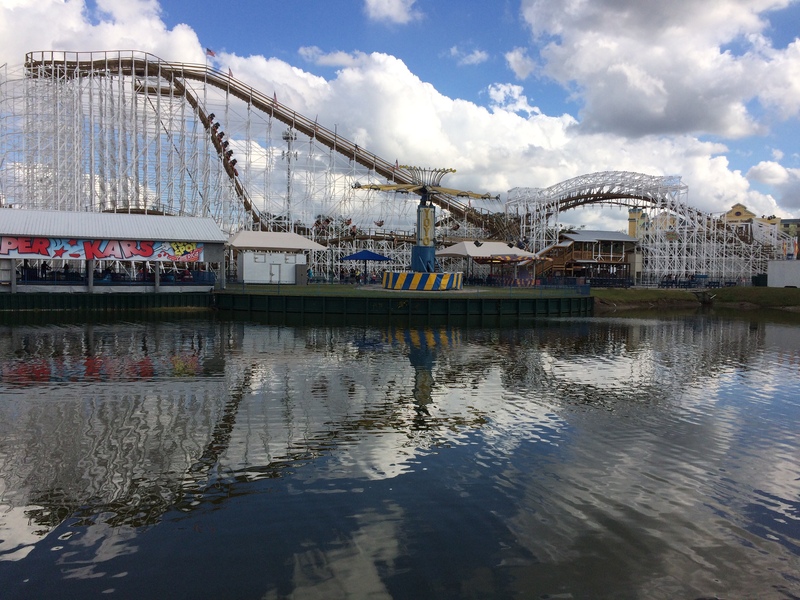 Here is an off ride video from Gualberto Valderrama’s YouTube channel. 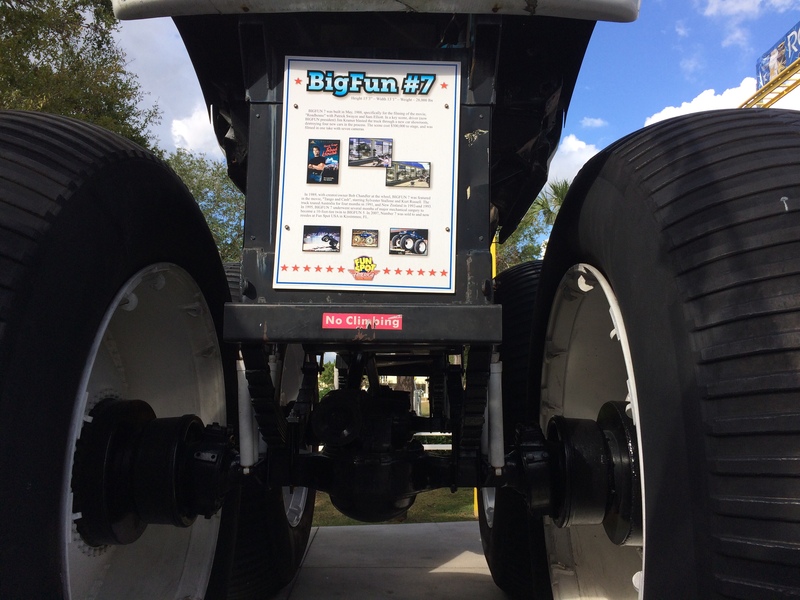 These two attractions are extremely thrilling and well worth riding. 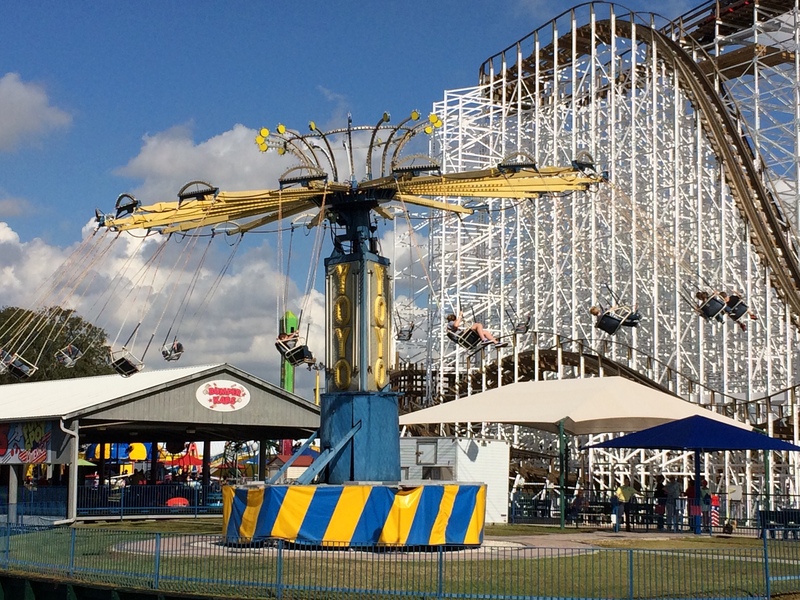 The Screamin’ Swing is a compressed air swing ride that was built by S&S Power, now known as S&S Sansei. 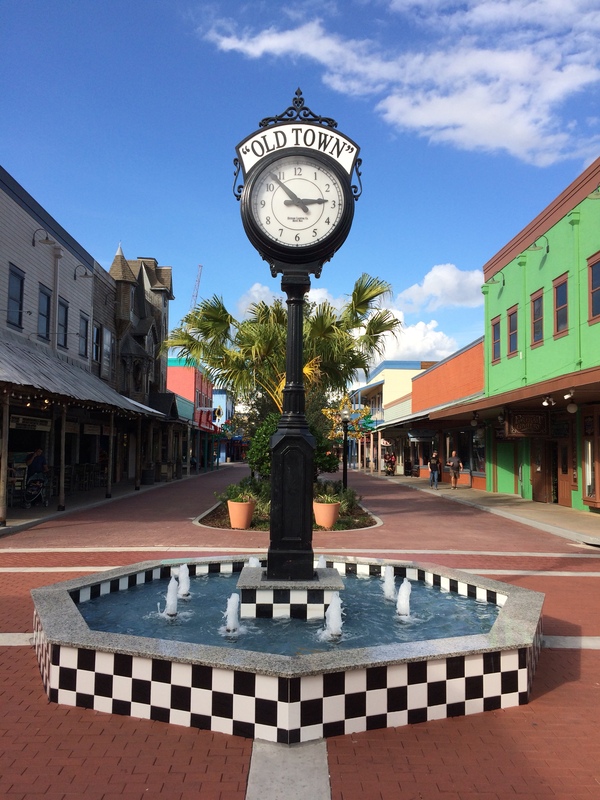 It originally opened at Skull Kingdom near Universal Orlando Resort in 2004 and operated there for a few years until it closed in November of 2006. 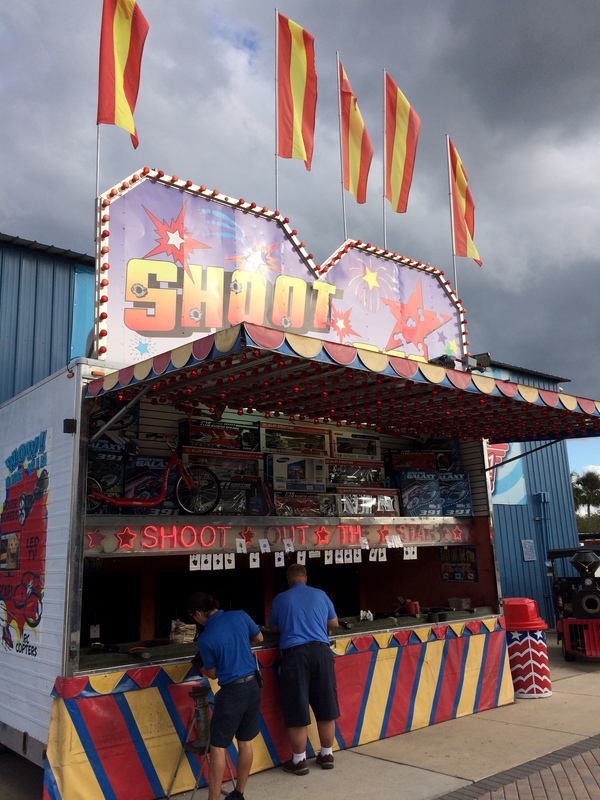 It was then moved to Fun Spot America in Kissimmee where it operates to this day and is not for the faint of heart. The Skycoaster was the original attraction at this location but unfortunately, information on this attraction was almost non-existent aside from it being the worlds tallest pendulum swing ride at 300 ft tall. This is a up-charge attraction but it is well worth the extra cost. You begin by donning a flight suit and are given instructions on what to do and when to do it. You, or your group then walk out to the platform that raises up to the guide wires. The operators then attach the guide wires to you and then are lowered to the flying position. The platform is then lowered and you are slowly pulled up to the rear spike. Once you are at the top, a operator talks to you via a speaker and ends with the countdown “3-2-1 FLY”. At that point you pull the ripcord and then free fall for about a second or two before the guide wires take over and swing you out over the lake where you swing back and forth until you can safely grab an “arresting loop” that will bring you to a stop. The platform then raises and you are disconnected from the guide wires. Here is my off ride video of both attractions. 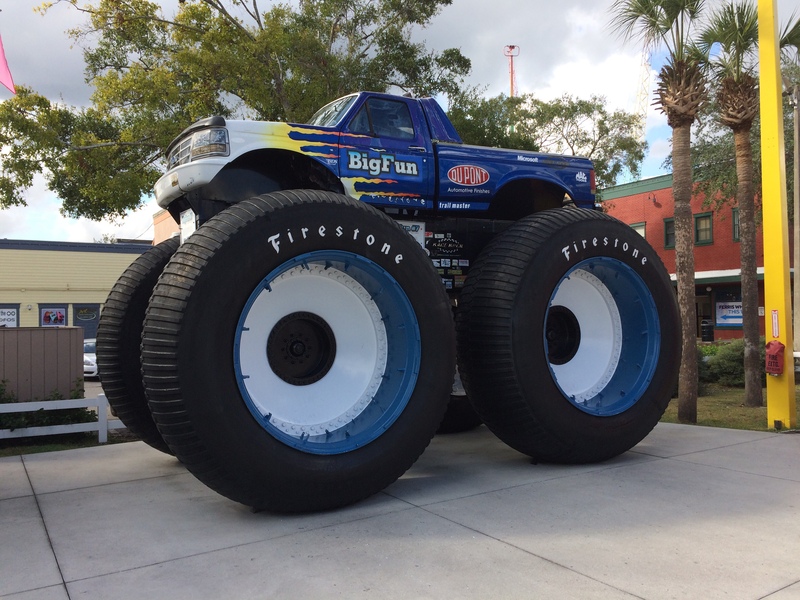 This is the worlds tallest operating monster truck and it originally was at a themed dinning restaurant that I believe was called Race Rock off International Dr. This truck was literally driven down Interstate 4 (I-4) to its pedestal at the restaurant where it sat until the restaurant closed. The restaurant also had the worlds most expensive ceiling fan which was a full-sized Formula 1 racecar that was mounted upside down on the ceiling and slowly rotated. It was brought here after the restaurant closed. 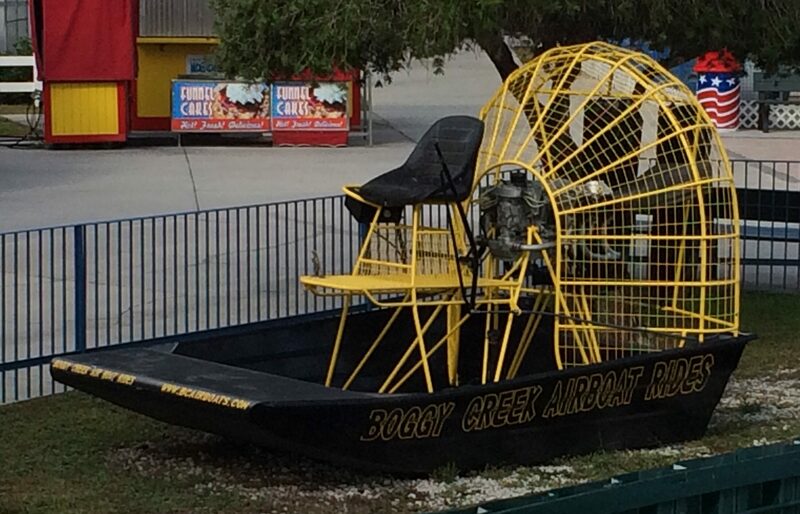 There also is a air boat here as well. 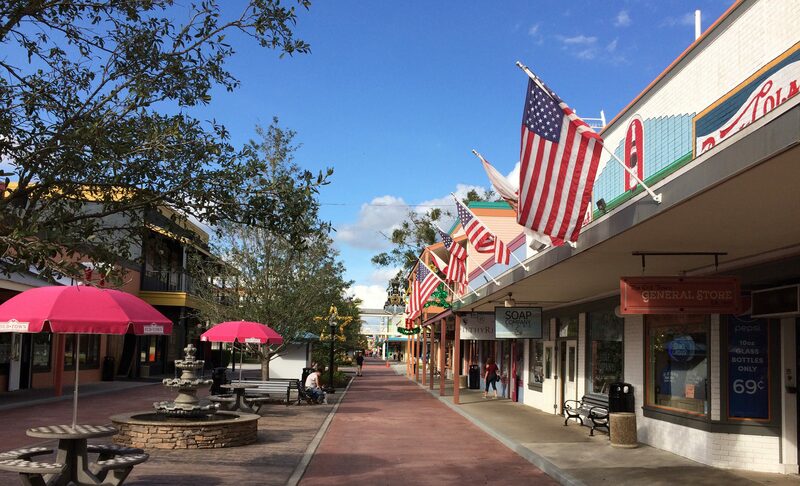 This is a night-time shopping and entertainment area next door that does have five attractions that are owned and operated by Fun Spot. 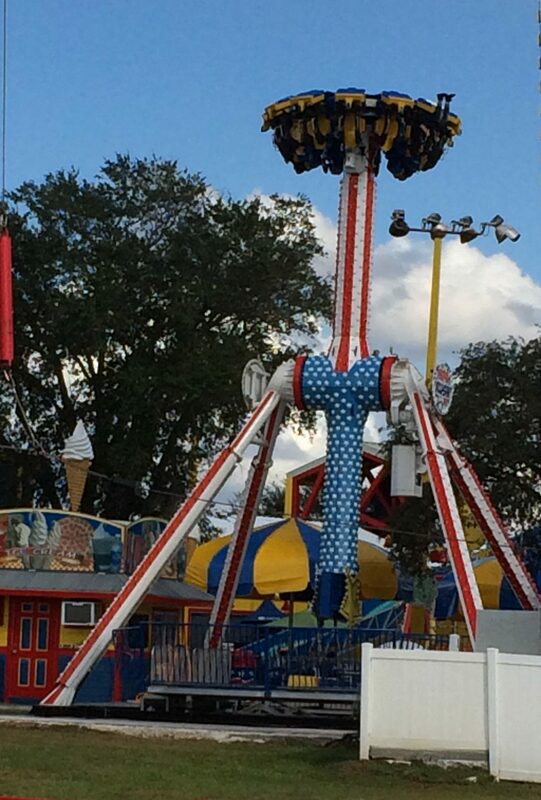 The Carousel, Tilt-A-Whirl, Paratrooper, and Crazy Couch are in the back and the Ferris Wheel is up front. 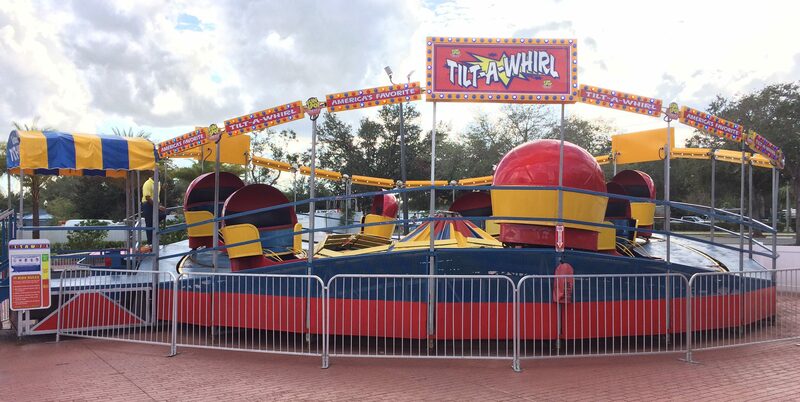 The Tilt-A-Whirl was built by Selner Manufacturing and can accommodate up to 28 passengers in 7 gondolas. This is one of the older ones which I believe are the better ones and the easiest way to tell is the newer ones don’t have the cover over the seating area. There is a trick to making it spin faster and that is to lean into the spin at the beginning of the spin and at the right time. 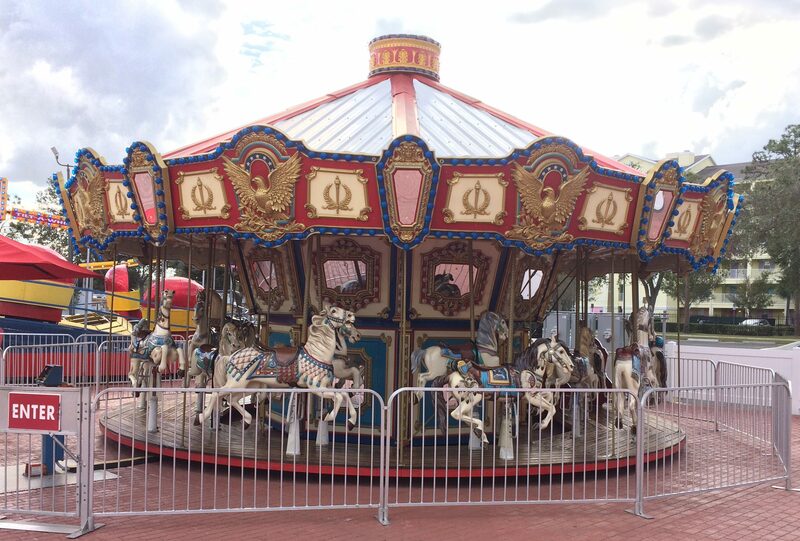 The carousel is a pretty standard newer carousel from Chance Rides. 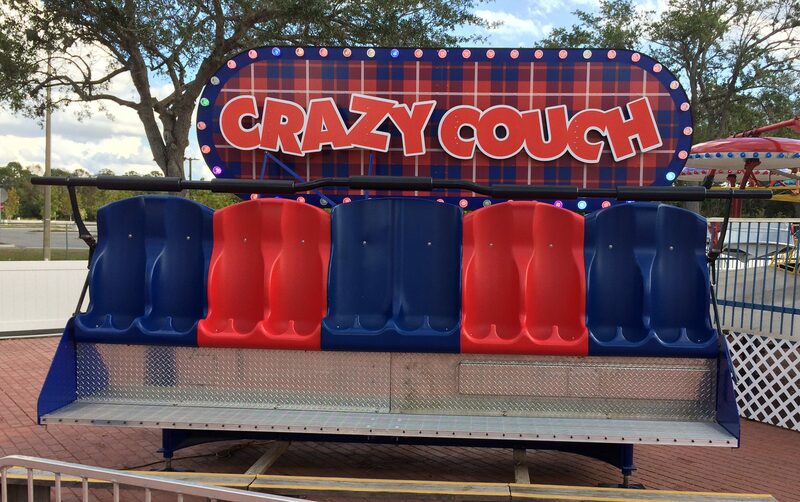 the Crazy Couch is one of the first attractions from Skyline Attractions and is fun for the family. The two adults will need to sit in the middle as those are the biggest seats. 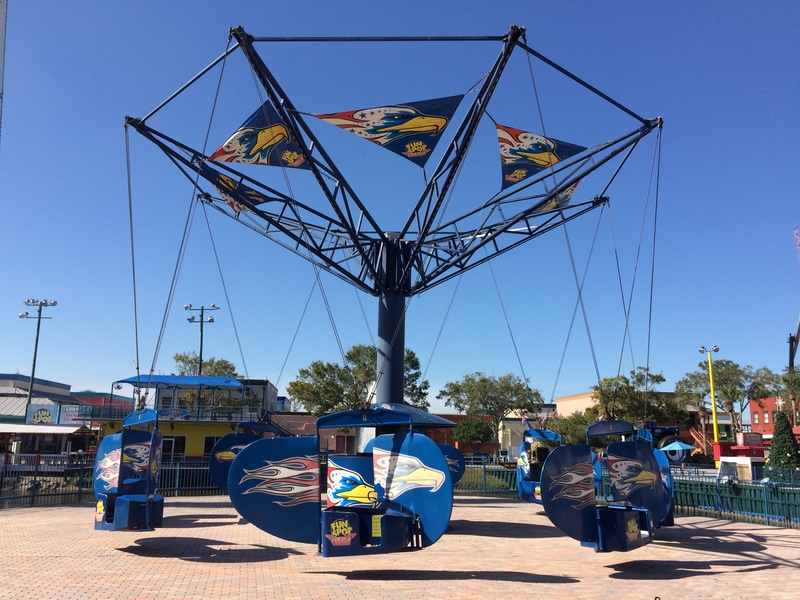 The Paratrooper is another classic park attraction and was originally built by the Frank Hrubetz Co., Inc. and can carry up to 20 people in its 10 gondolas. The lone attraction they operate up front is the Ferris Wheel from Chance Rides and this one is handicapped accessible as well. 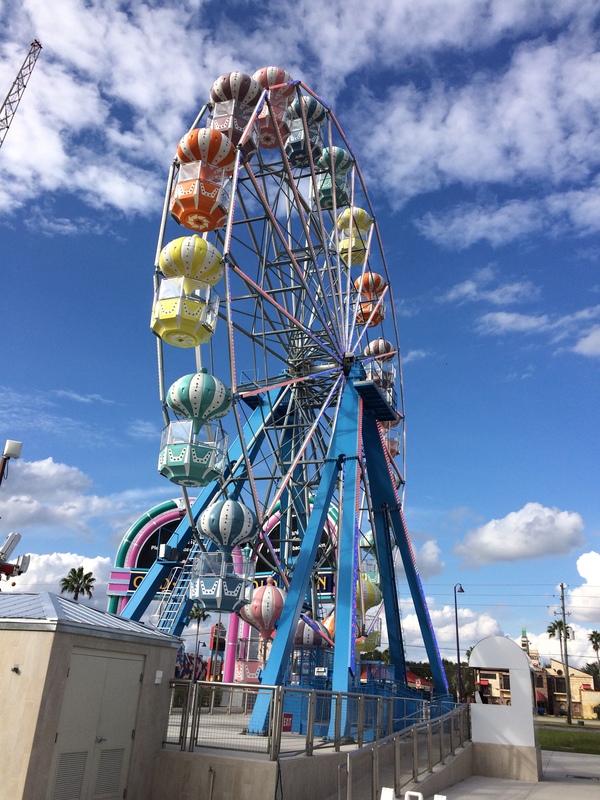 Here is my on ride video of the Ferris Wheel. Now we’ve reached the end of this review and I hope you found it really helpful so thanks for reading and please pass the word around about my website.